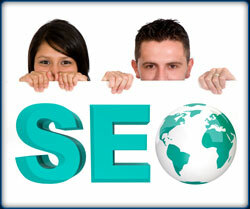 2012 SEO will as always be dominated by Google and it may be a tougher year than ever for those SEO professionals using out of date techniques. The effects of the Panda update were of course felt hard by some in 2010 and in 2011 but if you still aren’t ready in 2012 then you may find yourself hit even if you aren’t what has in the past been seen as a black hat SEO site. Unless you were in major contravention of what Google were looking for previously you may have seen little effect while Google gave the Panda update time to evolve but in 2012 they are going to start using new measures as much stronger indicators so what does this mean? Well firstly you need to keep people on your website, it isn’t good enough to get a good ranking in Google due to plenty of links: you need a sticky site. Ideally people should be presented with content that they will spend time reading or watching: for this reason pages with a video and then a transcription for keyword purposes are going to become more and more common as videos are better at keeping people on a page for a longer period. Navigation and lots of other good quality content on other pages is going to be important also as Google now look at how many pages on a site people go to as well. They do this with data collected from Google toolbar and other places and it is thought that Google have collected enough data to mean that Panda is working well enough to be relied on more strongly. Useful information! I have been hunting for some thing such as this for quite a while finally. Thank you!